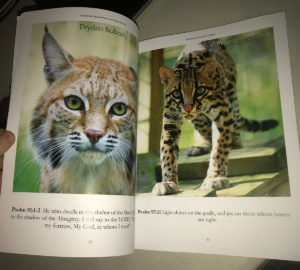 Enjoy 100 inspirational scriptures, each one accompanied with a big beautiful full-color photo of one of the cats that call Big Cat Rescue in Tampa, Florida home. This book has been accepted by the publisher and ready for ordering. The first batch shipped out today. The next batch ships out January 10, 2019. The final batch should ship in a couple weeks. 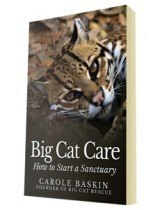 PRICING: Book is $35.00 plus S & H.
There is a $10.00 discount for On-site Keepers and Partners. Pay securely through PayPal. PLEASE, ***IMPORTANT*** use the dropdown menu below to select to correct country or your book cannot be shipped. 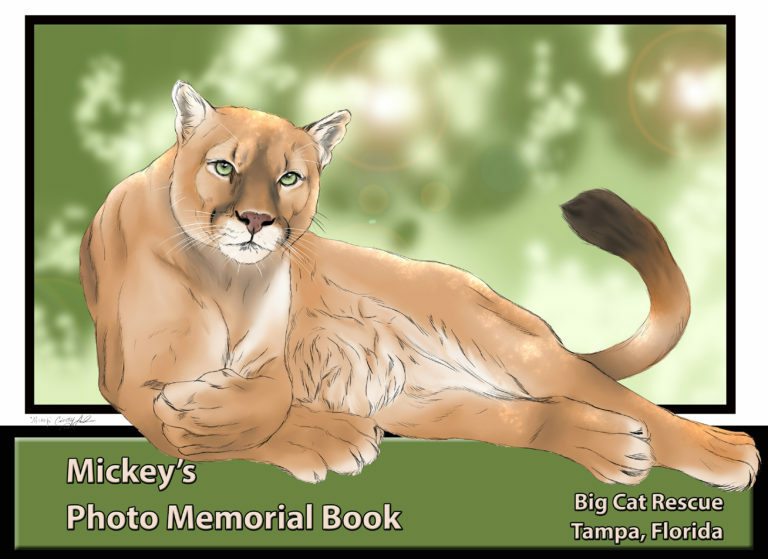 Mac Cougar's Memorial Photo Book will be going to print soon. You can reserve your copy now to make sure you get one before they sell out. Bookmark this page to check back for delivery date updates. Below the PayPal button, you can find instructions on how to reserve your book if you do not have a PayPal account. There is also information about the layaway plan. If you do not have a PayPal account you can still pay securely through Paypal using your credit or debit card or credit card without having to signup for a PayPal account. See instructions and screenshots below. You can reserve your book for $5 down and $10 per month. There are no layaway fees. If you decide to cancel your order I am happy to refund any payments made up to 30 days prior to the cancellation notice. Anything longer than that would already have been donated to BCR and no longer available in my account for refunding. If you are interested in using the layaway plan email me directly at lawanna.mitchell@bigcatrescue.org No one but you and I will know you are using the layaway plan. STEP ONE: When you click on the PayPal button below it will popup a PayPal screen, Click the "Continue" button. STEP TWO: That will give you the second screen. If you do not have a PayPal account skip that sign in part and look right below it to see a button that will let you pay with your Credit or Debit card. Using that button means you do NOT have to create a PayPal acct but will instead get a secure screen allowing you to pay with a credit or debit card without creating a PayPal acct. STEP THREE: On the secure form fill out the info such as name, shipping and billing address, and card numbers, and complete your order. PayPal will securely process your payment and keep your card info private. 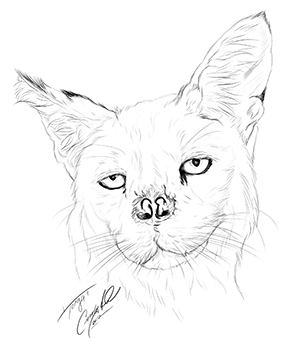 Tonga Serval's Memorial Photo Book will be going to print soon. You can reserve your copy now to make sure you get one before they sell out. STEP THREE: On the secure form fill out the info such as name, shipping and billing address, and card numbers, and complete your order. PayPal will securely process your payment and keep your card info private." 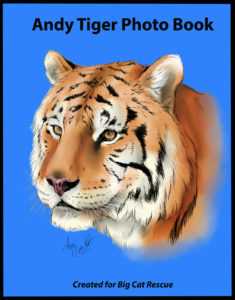 Meet Jumanji by reading about things he likes. 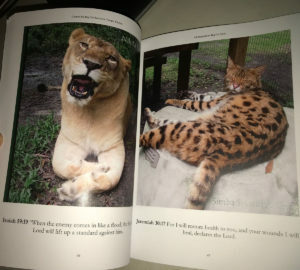 Enjoy lots of photographs of Jumanji and other big cats at Big Cat Rescue. 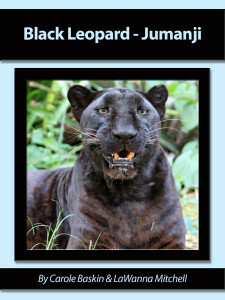 Learn about Enrichment and see photos and videos of the cats. 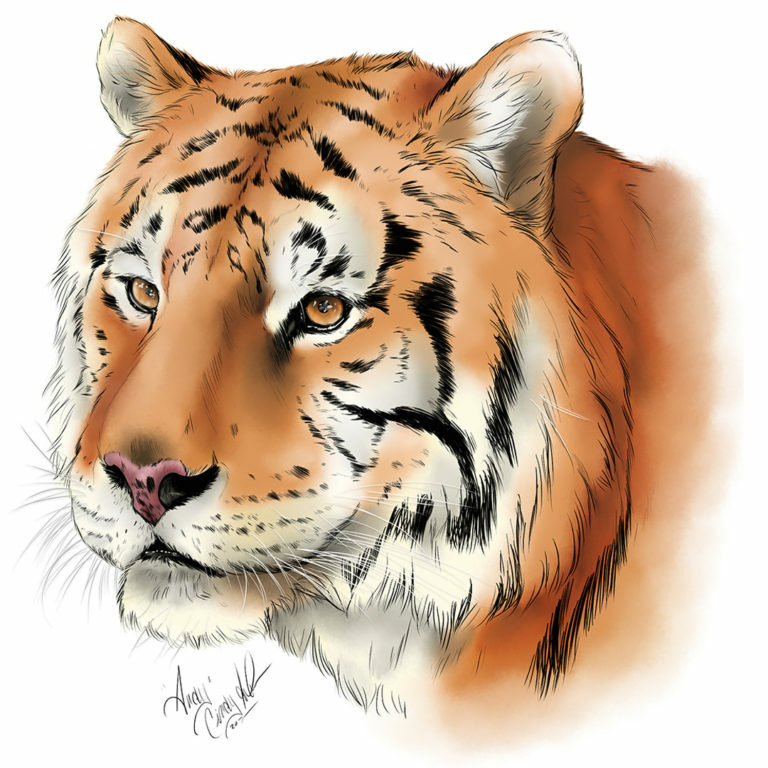 Learn about Big Cat Rescue, what we do, how we got started, how we keep records on the cats, and research projects we participate in. If enough people request this book be updated, I will set aside the time to do that. 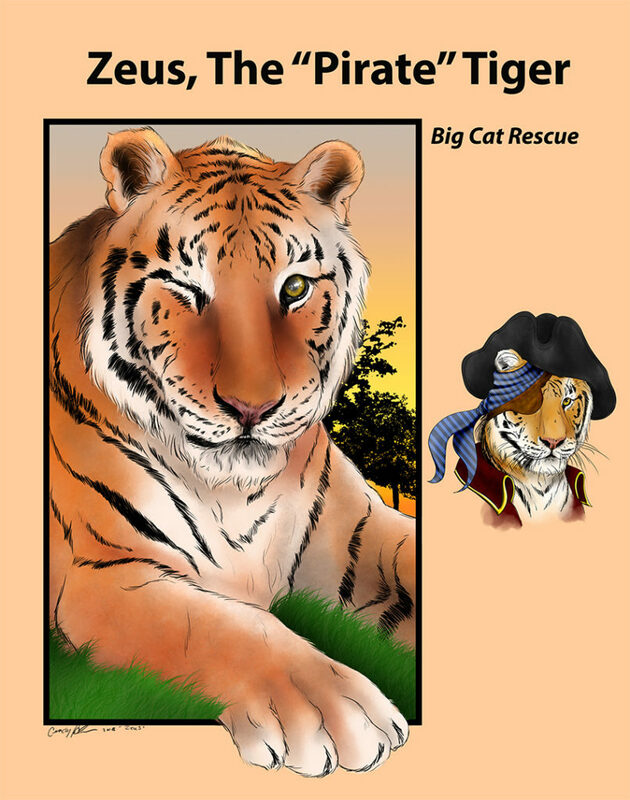 Big Cat Rescue has evolved since its inception in 1992. By 1997 we had seen enough of the abuse and abandonment caused by the pet trade that we had previously engaged in to know that there was no reason to breed exotic animals for lives in cages. As a result, we increased our efforts through spaying, neutering and cage building to ensure that we would no longer be a part of the problem. As we have continued to learn about the causes of so much suffering we have become active in stopping the exotic pet trade through education and legislation. 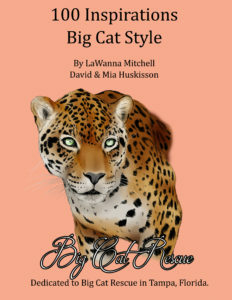 This book is provided for those running a sanctuary who want to learn from our experience, or for those who have already made the mistake of supporting the pet trade so that the animal in your care does not suffer even more after being ripped from his mother. 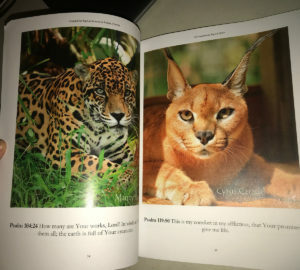 With more than 30 years experience, with every sort of exotic cat, I can assure you that there is nothing you can do to raise up an exotic cat to be a house pet. It just isn’t possible. No matter how young you neuter or spay the cats, both male and female, ALWAYS spray when they become adults. 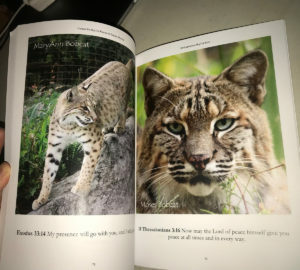 The suggestions in this book are for those who are starting sanctuaries so that you don’t become another one of the 98% who kill their exotic animals in the first two years due to a lack of knowledge. 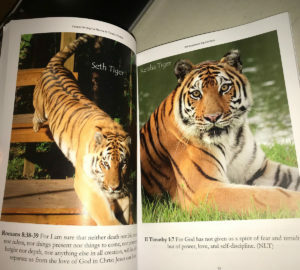 All of Andy Tiger's Book have mailed out as of 4/3/2019. There are 5 books leftover if you still want one. It is an 8 1/2" x 11" softcover 62-page book with 80+ photos of Andy. You can reserve Andy's book for $35 plus S&H. Payments are securely processed by PayPal. Please make sure your shipping address in PayPal is correct as that is the address your book will ship to. You can securely pay through PayPal even if you do not have a PayPal account. Scroll down this page, below the button, to see screenshots and instructions on how to do that. Us the dropdown menu below to SELECT THE CORRECT COUNTRY, please. Don't have PayPal? That's okay see your payment instructions below the buttons. STEP THREE: Fill out the info and complete your order. 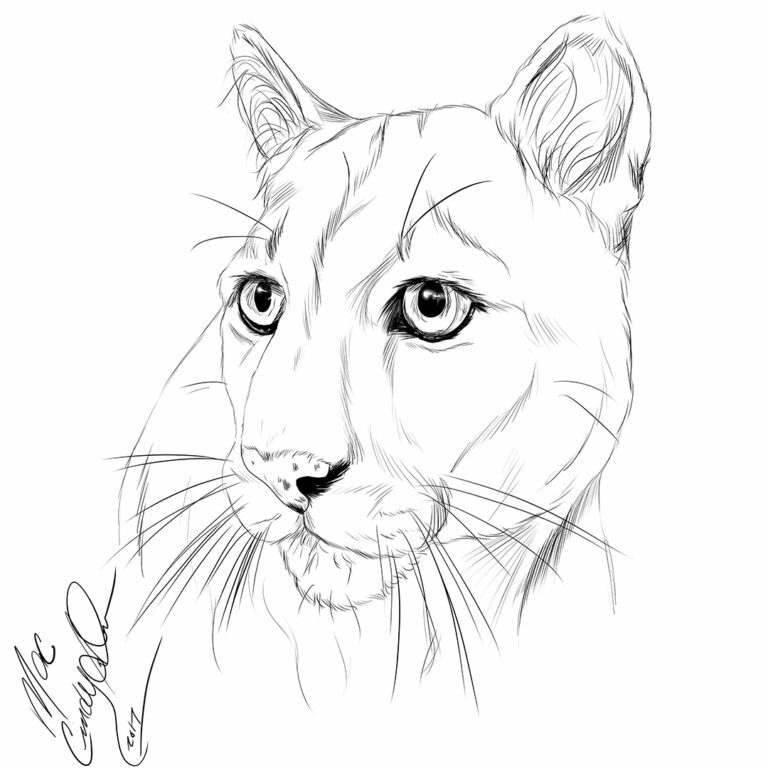 Visit Big Cat Rescue’s social media pages. Watch big cat videos and big cat webcams.